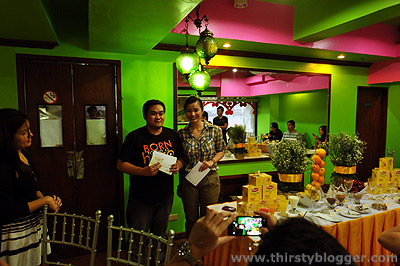 A couple of weeks ago, I was invited to a special event sponsored by Lipton Yellow Label Tea. 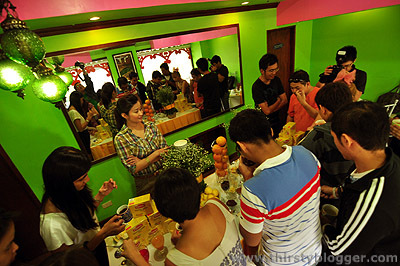 It was a casual gathering of bloggers at Calvin Deli in Bonifacio Global City; and together with Chef Rosebuds of Quickfire, we explored the “endless possibiliTEAS” of Lipton Yellow Label Tea. Many people drink hot tea only with sugar or honey, and sometimes just milk. 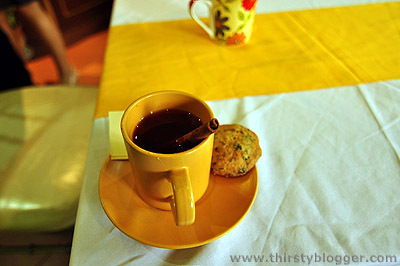 But Chef Rosebuds showed us that afternoon, some of the ways we can make delicious and interesting tea variants. The best part of the afternoon was when she challenged us to make our own tea variant using the ingredients on the table. There were many options to choose from – there were fruit juices, beverage powders, concentrated flavors and lots of spices. As for me, I opted to make a simple strawberry tea recipe I sometimes do at home. It’s as simple as adding strawberry syrup on your tea and adding honey to suit your taste. Lastly, Lipton Yellow Label Tea is currently having a promo. If you can make your own video showing the “endless possibiliTEAS” you can do with Lipton Yellow Label Tea, then you might get the chance to experience a hot air picnic adventure or a tea rave party. 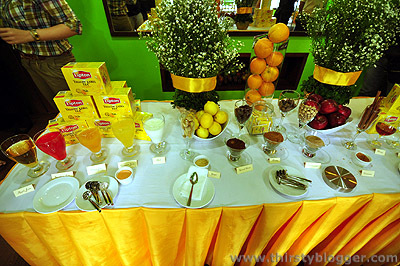 Simply check out the Lipton Philippines Facebook page HERE for more details.